The success of your ecommerce website depends on the steady flow of customers and traffic. However, customers that simply visit the website will not be able to bring in the success you need. You will have to motivate them to make the purchase. 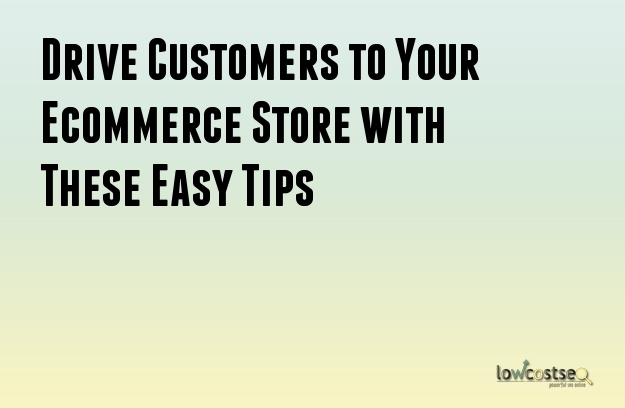 Here are a few tips that you can implement so that you can make more sales through your ecommerce portal. Of course, if your customers cannot find you, there will be no sales. Use SEO to get your website the first rank on Google and other search engines. Conduct a thorough keyword research to understand what your prospective customers use for searching your business. Use the targeted keywords in the appropriate places such as product descriptions and titles. Implement social media sharing functionalities to promote social sharing amongst your customers. Price is, in most cases, the decisive factors in a purchase process. That is why many customers prefer to compare prices before purchasing. Make it easier for them to do so. If there are discounts, make sure that they are highlighted. Free shipping can change the decision of your customers. Implement it. People love to know more about the products they wish to purchase. Such information can be a major influencer in the purchase decision. The product descriptions should be clearly provided. Implement a hierarchy of information with overviews followed by details. Define the more uncommon terms and concepts in the product descriptions. Have a section exclusively for customer reviews. You can increase the number of reviews by providing incentives such as freebies. Even if the customer is purchasing essentials, they would still prefer if the shopping experience was enjoyable. The product images should be of a high quality. If possible, add a video of the product. A sense of scale can be important for many products. Implement it wherever possible. Do not forget to showcase the product from all angles. Enable a zoom functionality to make it easier for customers to get a detailed look. People will always prefer to purchase the best product when given a selection to choose from. Therefore, you need to make it easy for them to compare the various products on your ecommerce store. Make it easier for your customers to edit their carts. The navigation between similar products should be easy and quick. The product information you place should always be consistent. You should have an in-site product comparison feature. Online shopping can be a risky process so ensure that your website feels credible and professional. The returns or exchange processes should be easy. Do not forget to display the security certificate. Multiple payment options are necessary. Customer support services should be clearly defined. Create well-defined policies for shipping and returns. An ecommerce store can take your business to the next level. However, you need to ensure customer satisfaction for your success.